Who Needs WHMIS Training? The Answers that You’ve been Looking for. 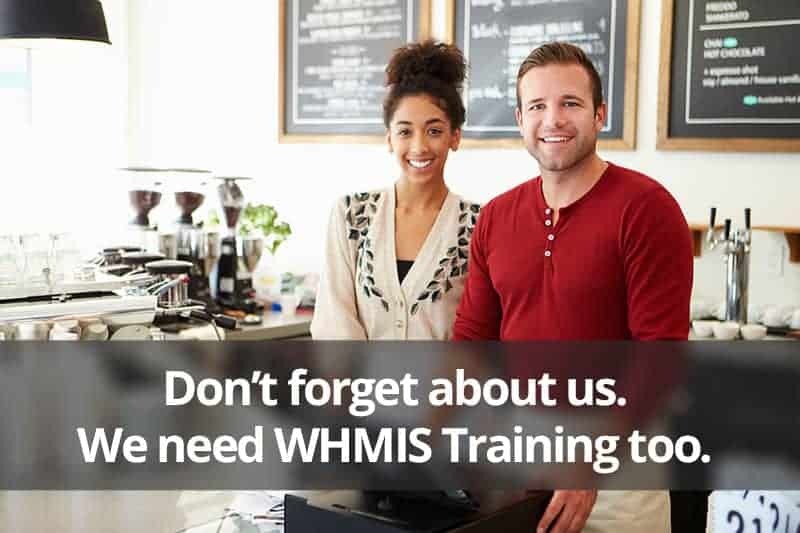 Depending on where you search for, “who needs WHMIS training”, or who you ask, the answer to this question can vary. Answers can range from, “everyone in Canada” to, “only workers who use chemicals regularly. So which one is it? Who needs WHMIS training? The answer may not be as simple as it seems and we’ll need to examine the specific purpose of WHMIS training to get closer. The simple goal of WHMIS training is to protect Canadian workers from chemical hazards in the workplace. This helps us narrow things down right off the bat. have the potential to be exposed to chemical hazards in the workplace. It’s easy to determine whether or not someone is a worker in Canada. Determining whether or not they may be exposed to chemical hazards can range from easy and obvious to not-so-certain. The fact is, hazardous products can be found in nearly all workplaces. And regardless of a worker’s job position and duties, in most cases, the potential exists for them to be exposed to these products. The simple answer to the questions is, most Canadian workers need WHMIS training. Listed below are the various types of jobs where WHMIS training is typically required. 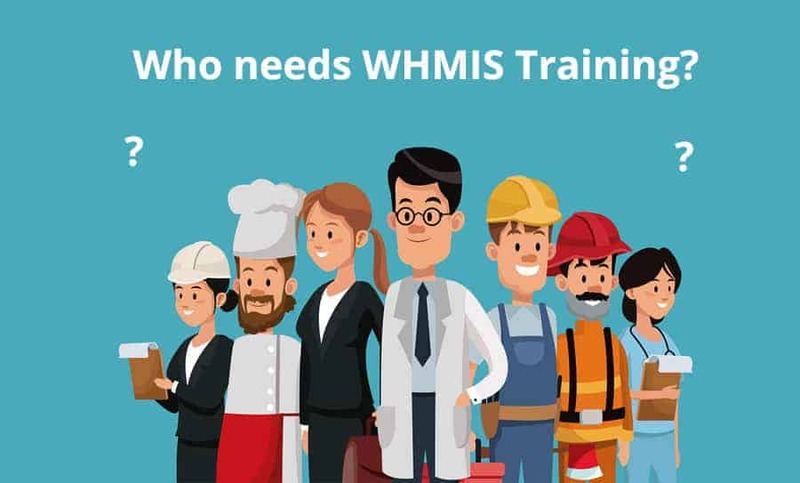 Note: This is not a complete list of who needs WHMIS training, and it should not be assumed that if your industry or specific job is not included, that you do not require WHMIS training. 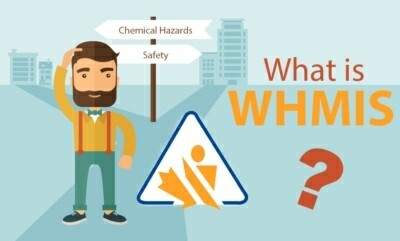 Most Canadian employees will require WHMIS training. Factory Workers: Most factory workers work with gasoline, cleaning products and lubricants, which are undeniably hazardous products. These workers, therefore, require WHMIS training. Automotive: Most automotive employees work with fluids and lubricants on a daily basis. Many of these fluids are hazardous products and require WHMIS training that is workplace specific. Retail and Food Industry: Workers in the food and retail industry require WHMIS training for the cleaning products that they deal with. These include floor cleaners, industrial strength gum cleaners, compressed gas, oils and many more. Cleaners: These workers deal with chemicals and hazardous materials regularly. Some of the hazardous products they are exposed to include window cleaners and industrial strength floor cleaners among others. They, therefore, require both general WHMIS training and site-specific WHMIS training. Contractors: Many contractors work with hazardous products, such as driveway sealers, paints, and solvents, sealants, and glues, as well as many others. Due to the nature of their duties, WHMIS training will be required for most contractors. Office Staff: Many companies do not provide WHMIS training to their office workers. This can be extremely dangerous. Some office workers can be exposed to industrial cleaning products and ink cartridges, which are hazardous products and require WHMIS training. Healthcare / Laboratory Workers: Healthcare and laboratory workers are typically exposed to hazardous chemicals regularly and usually require both general and site-specific WHMIS training. Co-op Students / Interns: These are typically temporary employees and work for a company only for a short period. They may, however, still be exposed to hazardous products in the workplace and require WHMIS training prior to beginning their duties. Volunteers: WHMIS training for volunteers can vary. In some jurisdictions, volunteers do not meet the definition of a worker and therefore, do not legally require WHMIS training. It is, however, a good idea to give general training to volunteers to ensure that they know how to handle controlled products safely. Students and Teachers: Workshop, biology, and chemistry teachers work with hazardous products more often and require WHMIS training. Students are similar to volunteers because they are not paid and therefore, may not legally require WHMIS training. Many institutions, however, choose to train such students to make sure they safely handle the hazardous products and react accordingly in emergent situations. The training is also essential for co-op students as it prepares them for the workforce. WHMIS training is intended for employees who work with or are in proximity to one or more hazardous products. Employers are required to determine potential hazards in their workplace and provide WHMIS education and training to maintain worker safety. There are two types of WHMIS training. General Training, which is commonly referred to as “Education” or “Generic WHMIS Training”, and Workplace Specific Training. General Training includes information about the WHMIS legislation, the adverse effects of exposure to hazardous chemicals, how to read labels and safety data sheets, as well as other relevant general information about WHMIS. This type of training can be taken live in a classroom, via video or through online training. Workplace specific WHMIS training varies from company to company and includes information that is unique to the workplace and chemicals being used within it. This includes specific safety precautions, emergency procedures, required PPE and, specific policies and procedures. This training is taken in the workplace and usually directly on the worksite. 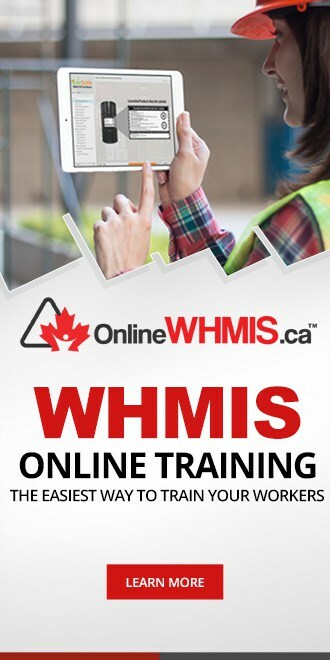 While nearly all Canadian workers require, at a minimum, general WHMIS training, employers must determine if workplace specific WHMIS training is also required. 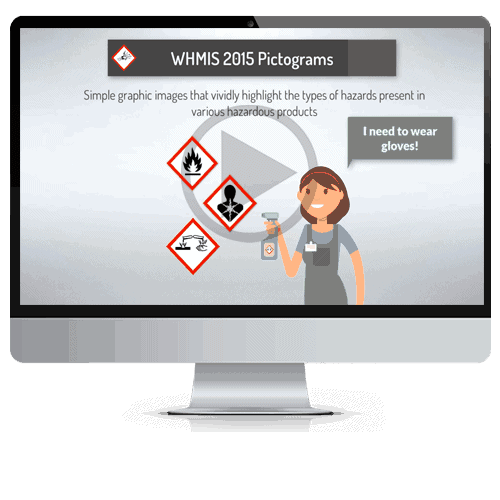 If you’re an employer, and there’s any chance that your workers could be exposed to hazardous products, you must regularly provide them with updated WHMIS training. 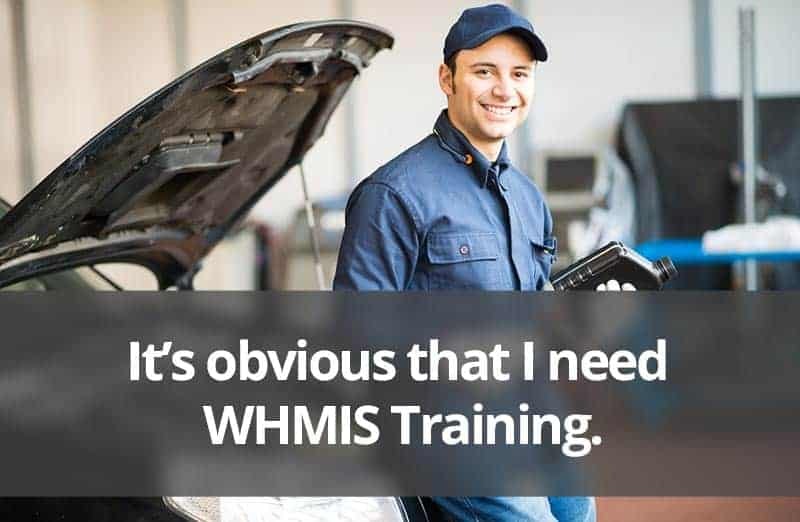 If you’re a worker, and you work with or around hazardous products, and you haven’t yet received WHMIS training, talk to your supervisor right away and let them know that you need WHMIS training. Enter your name and email address to get the free WHMIS training guide.